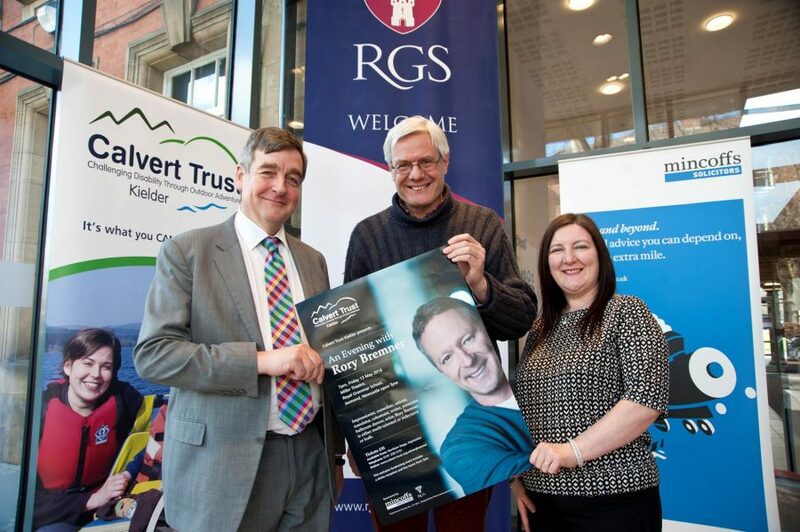 AWARD-WINNING comedian, television and radio star Rory Bremner has announced an exclusive one-off show to raise funds for disability charity Calvert Trust Kielder. Jesmond’s Royal Grammar School, long standing supporters of Calvert Trust Kielder, will play host to Mr Bremner on Friday 13th May when he will give guests a no-doubt highly entertaining glimpse into his fascinating life as an impressionist, comedian, satirist, translator, columnist, writer, presenter, ballroom dancer and actor. The event came about after Mr Bremner tweeted about his great day out at Calvert Trust Kielder. Calvert Trust staff spotted an opportunity and immediately got in touch. Mr Bremner was so impressed with the centre that he suggested the stand-up gig as a way to raise much-needed funds for the charity. Mr Bremner said: “Calvert Trust Kielder does wonderful things with wonderful people in a wonderful location. Give them love (oh, and MONEY! Even better!). ‘An Evening with Rory Bremner’ is sponsored by Mincoffs Solicitors. Marketing and Business Development Manager at Mincoffs Solicitors Claire Fenwick said: ‘We are absolutely thrilled to be sponsoring this event. Calvert Trust Kielder is a charity Mincoffs Solicitors have had a long association with and we are delighted to be able to further support the excellent work they do transforming the lives of those with physical, sensory and learning disabilities along with their families, friends and carers. We are very much looking forward to it’. Tickets for the event, which starts at 7pm, cost £35 and include a complimentary drinks reception and audience Q&A session with Rory Bremner. All proceeds from the event will be used to help give life changing experiences to disabled and disadvantaged children from across the North East along with their family, friends and carers. For tickets visit calvert-trust.org.uk/rorybremner or contact Northern Stage on 0191 230 5151.